Exposure to toxic and hazardous materials can cause employees to become sick, but it is required for many jobs. Any worker who has been made sick because of exposure to toxic materials should file a claim to recover benefits. Employers are required to follow a worker Right to Know Law related to employees' work with hazardous materials, or they may be subject to penalties. The workers’ compensation lawyers at Pulgini & Norton can help people in Boston and the surrounding communities understand their rights and options during this process. The Massachusetts regulations at 454 CMR 21 include a worker Right to Know Law dealing with hazardous materials in the workplace. The purpose of this law is to establish minimum standards designed to protect employees' health and safety in connection with their work with toxic or hazardous materials. Public employers are required to follow this regulation, while private employers need to follow the similar OSHA Hazard Communication Standard, OSHA 29 CFR 1910.1200. The Commonwealth does not have an approved occupational and safety and health program, so OSH and its right to know rules govern all private employers. 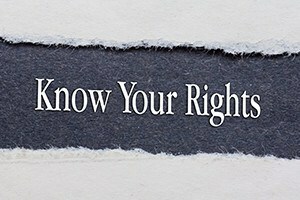 Under the right to know law, employers have to meet basic standards in connection with the posting of information, worker training, and the labeling of containers. Employees have the right to ask for a Material Safety Data Sheet or Safety Data Sheet describing the properties of any dangerous material they will encounter, and how to handle it. This sheet should be maintained on site for every chemical product that employees use. New employees should be given right to know training and education during the first 30 days of employment. The training should be updated every year. If the employer is a municipality, it can conduct its own training, but if it hires a third-party trainer, he or she has to be registered with the Department of Labor Standards. The Department of Labor Standards is also entitled to issue a civil penalty for every violation. Materials covered by the right to know laws do not include consumer products, except those that are listed as extraordinarily hazardous, neurotoxins, carcinogens, mutagens, or teratogens. The Division of Occupational Safety enforces the right to know statutes. If you were exposed to a hazardous substance and suffer injuries, you may be temporarily or permanently disabled. Some serious illnesses arise out of even limited exposure to hazardous materials, such as asbestos. Workers' compensation benefits are designed to be provided without regard for employer or employee fault, meaning that even if you knew you were exposed to hazardous materials and did not take the appropriate precautions on a particular occasion, you may be able to recover benefits. Among the benefits for which you may be eligible are disability benefits, medical benefits, cost of living adjustments, and lump sum payments. Unfortunately, many insurers make it difficult for employees to collect the benefits to which they are entitled. It is important to secure representation from an experienced attorney. If you are exposed to hazardous materials at a job in the Boston area, you can contact the workplace accident attorneys at Pulgini & Norton. An employer that fails to comply with these rules can be subject to civil penalties. At Pulgini & Norton, we represent individuals in Waltham, Bedford, Quincy, and other Massachusetts cities. Call us at 781-843-2200 or contact us via our online form for a free consultation.